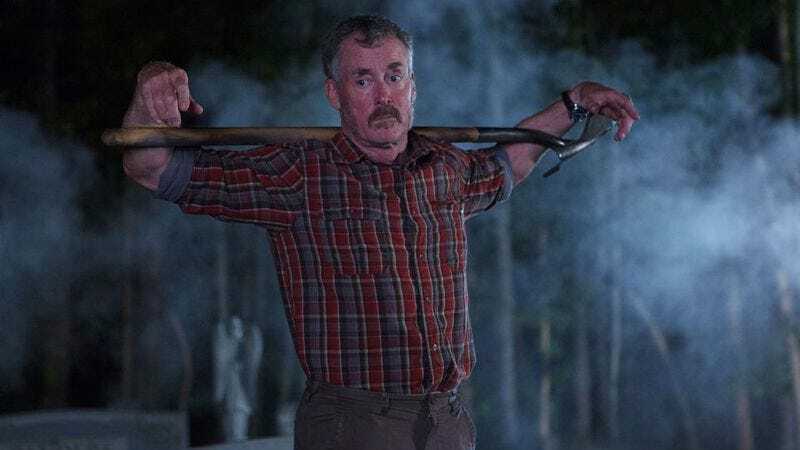 IFC has announced that it’ll be keeping John C. McGinley in gore-spattered flannel for another year, granting a second season to its half-hour horror comedy Stan Against Evil. The series—which sees McGinley play a retired sheriff, grouchily teaming up with his replacement (Janet Varney) to battle the evil infecting their small New England town—debuted on Halloween, to strong ratings and cautiously optimistic critical shrugs. Creator Dana Gould expressed his pleasure at the renewal, and especially the opportunity to head back to Willard’s Mill and “blow up more stuff.” He also noted the show’s success on delayed viewing, saying, “Thanks to DVRs, the audience more than doubled each week. That amazed me.” The show will presumably return next year, allowing McGinley, Varney, and Gould to continue their ongoing battle against demons, devil worshipers, and comparisons to Starz’s Ash Vs. Evil Dead.